We knew our baby's birthday a month in advance. It was the strangest feeling knowing the date and time I would go to the hospital to bring our fourth child into the world. It certainly made planning for the big day easier but it was still very bizarre. When it finally arrived, we packed the car in the wee hours of the morning after kissing our big kids goodbye and assuring them they'd see us later that day with their new sibling. A brother or sister? Only time would tell since we'd chosen to be surprised at delivery. Arriving to the quiet hospital, we made our way to L&D and were greeted by cheerful nurses who got us into a triage room right away to prep me for my c-section. Everything was going well until my blood pressure dropped drastically bringing on waves of nausea, chills, and fear that today might not go as planned. Thankfully, after 4 liters of fluids and some oxygen, I felt well enough to wobble my big belly down to the OR with the fear subsiding and excitement taking its place. 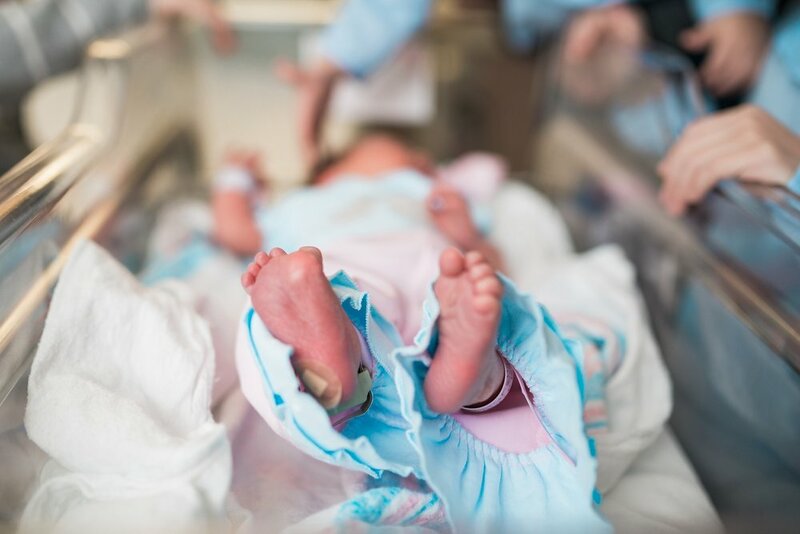 Once inside the chilly room, I met the team that would bring my baby into the world. The anesthesiologist assured me it would be an inferno soon enough- a disco inferno that is- and turned on some music. As final preparations were made, we listened to Rihanna and Justin Timberlake and my nerves began to get the better of me again. When my husband finally joined us, his calming presence helped settle me as the doctors began their work. I tried to focus on the music and prayed our baby would not be born to Britney Spears' "Toxic." There was tugging and pulling and a question about how I scar and then they gave Daniel a 2 minute warning that it was almost time for his big job. He was the one who would tell me if the baby was a son or a daughter. And before I knew it, I heard a cry amidst Ed Sheeran's "Thinking Out Loud" and my husband's voice saying, "It's a girl! It's Bernadette!" Tears filled my eyes and a flood of emotions overcame me. Her pregnancy had been a stressful one filled with almost weekly appointments to make sure my baby was healthy. The tests were always borderline which meant we didn't know until a week before her arrival that she'd be full term. I was relieved, I was overjoyed, and I completely taken by the sight of my husband holding our beautiful little girl with her full head of hair and scrunched up face. Bernadette Raenelle was finally here. As the doctors stitched me up, Daniel placed her in my arms and I marveled at the miracle of this little girl who was loved from the moment we found out she was growing inside me. After a short time in recovery, we went to our room and eagerly awaited the big siblings to arrive. The looks on their faces as they met their new sister was unforgettable. 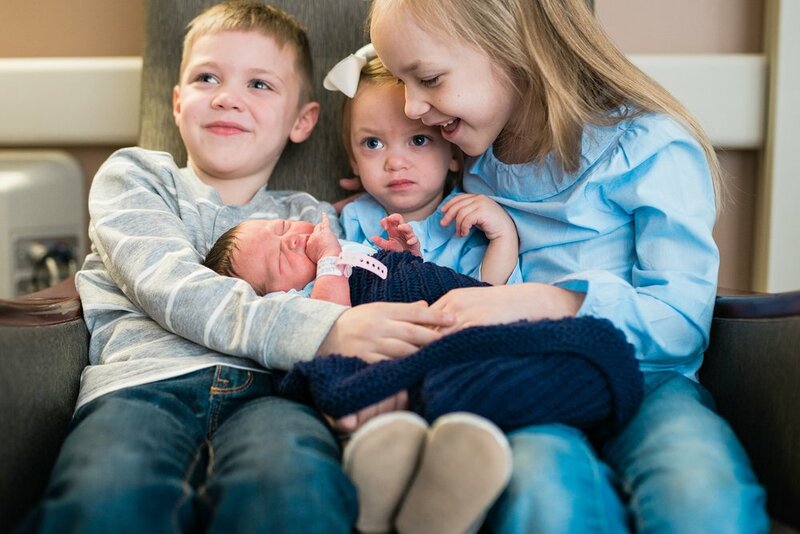 As they piled onto my bed to kiss her and hug her and ask a million questions about her, I couldn't believe how blessed we were to have these beautiful children, four little miracles for us to love, to nurture and to watch as they make their way in the world. Bernadette's joyous arrival will be a memory we will treasure all of our days. 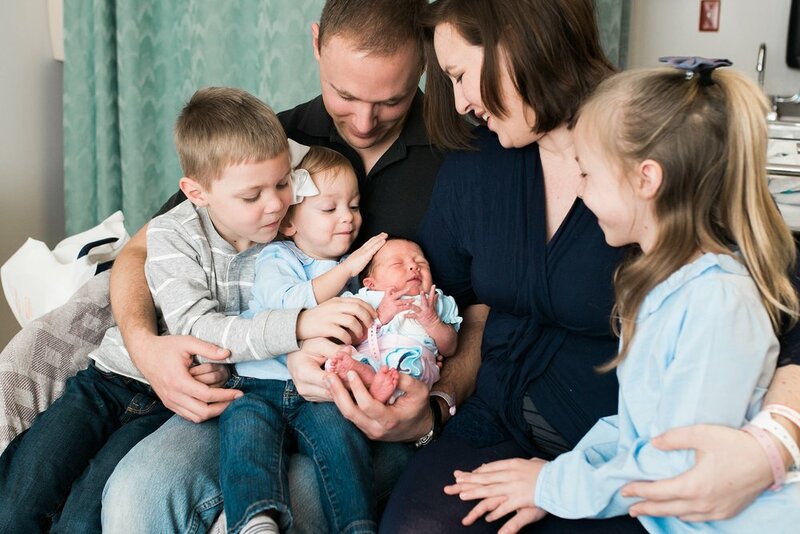 I can't get over the sweetness and the kids faces as they get to hold and marvel over their newest baby sister. Which moments here are your favorite? Please leave a comment for Dan & Kelly and help them reach 50 comments to earn a FREE 8x10 mounted print from their Fresh 48 session. Natalie is a lifestyle family photographer serving Pensacola, FL and surrounding areas of the Gulf Coast. 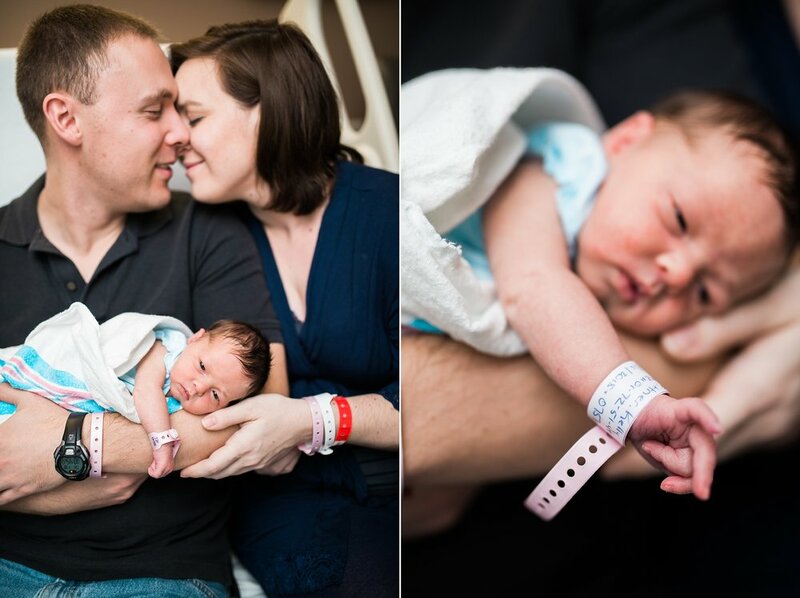 With a passion for capturing candid family moments, she specializes in birth photography and newborn lifestyle photography. Natalie lives in Pensacola with her husband and two (very difficult to photograph) children. Besides photography, she has a passion for modern sewing projects and graphic design.